It’s extremely difficult to look at a book like Escape from Sobibor with a critical eye. 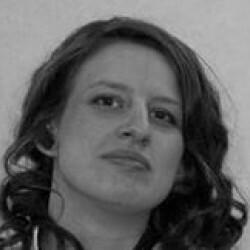 The usual concerns of characterisation, plot, setting etc don’t come into play. These are facets that cannot be changed if the story is to be told accurately. Therefore, when I review a book like this I have two main considerations: 1) the quality of the writing, 2) the accuracy of the details. Escape from Sobibor is related in a unique manner, almost as if it were a work of fiction. In this way we are introduced to the men and women whose stories form the basis of this incredible book. 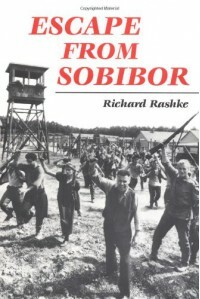 Richard Rashke has combined eye witness accounts with a wealth of research to provide a comprehensive account of life at Sobibor. While I was impressed with Rashke’s narrative, attention to detail and obvious thorough reading and research, I was equally impressed by his respect for the Sobibor survivors and the lengths he went to to try and avoid causing additional distress (above and beyond the clear distress recounting their experiences caused). It is clear he came to care very much about the book but – more importantly – about the people behind the story. Escape from Sobibor is an incredible book. It tells some of the stories that must be told, that must never be buried or forgotten. There are millions of stories from the victims of the Holocaust that go unheard. We must make all the more effort to honour the voices that could share. Rashke does this beautifully.